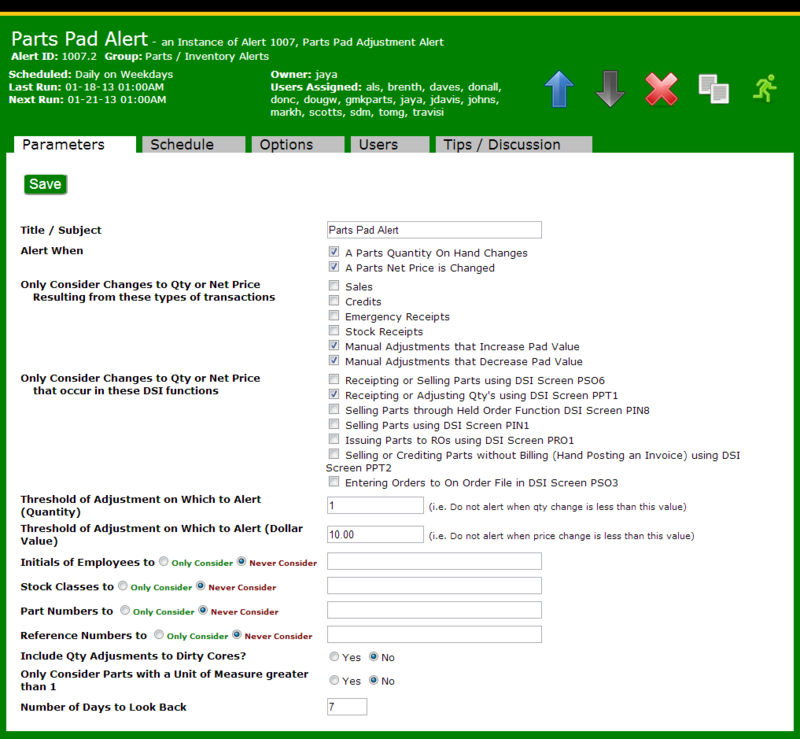 PARTS PAD ALERT - Website of dealerscopesoftware! Let's face it. You have to make adjustments to your parts inventory. But did you know that almost anyone can walk up to a terminal and literally write off any parts they want to? 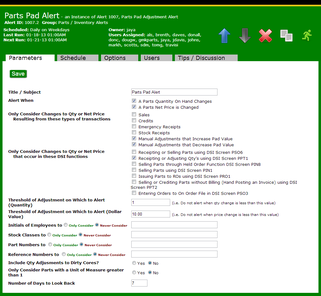 Use this Alert to detect when large or suspicious adjustments are made without your knowledge.